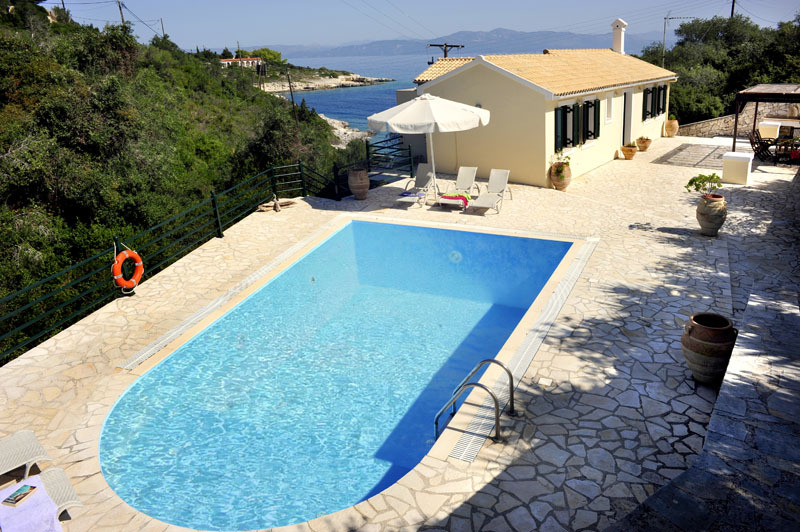 Enjoying the best of both worlds is a very rare, however if having the clear blue waters of the Ionian Sea just a few yards from your doorstep as well as a private swimming pool right by the door then the Villa Sophia might just fit the bill. This delightful villa overlooking the islet of Mongonissi not only has its own large swimming pool but is also just a few minutes away from a perfect small and very secluded beach. 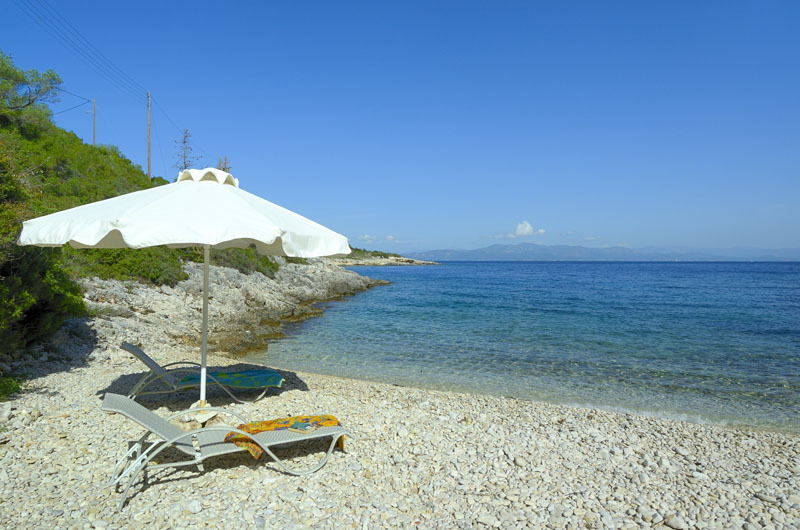 And, of course, it is on Paxos, the most beautiful and tranquil small island in the northern Ionian. Gaios, the island’s picturesque main village and port, with its wide choice of shops and tavernas is a mere two kilometers away, whilst nearer at hand Mogganisi Island, joined by a causeway to Paxos has sheltered and safe family swimming in crystal clear waters. The villa itself is laid out over the ground and lower ground floors, with the large open plan living dining and fully fitted kitchen area together with the master bedroom and en suite bathroom on the ground floor just a few steps away from the pool. Warm sunshine on the poolside loungers or cool shade under an attractive covered pergola with table and chairs the choice is yours, and a BBQ area. From the sun terrace, steps lead down to two further twin-bedded bedrooms, each with en suite facilities and shaded balconies. The villa gardens are enclosed by natural limestone walls and terraces planted with colourful Mediterranean shrubs and flowers. The nearest taverna is a twenty minute stroll along a typically quiet island lane. 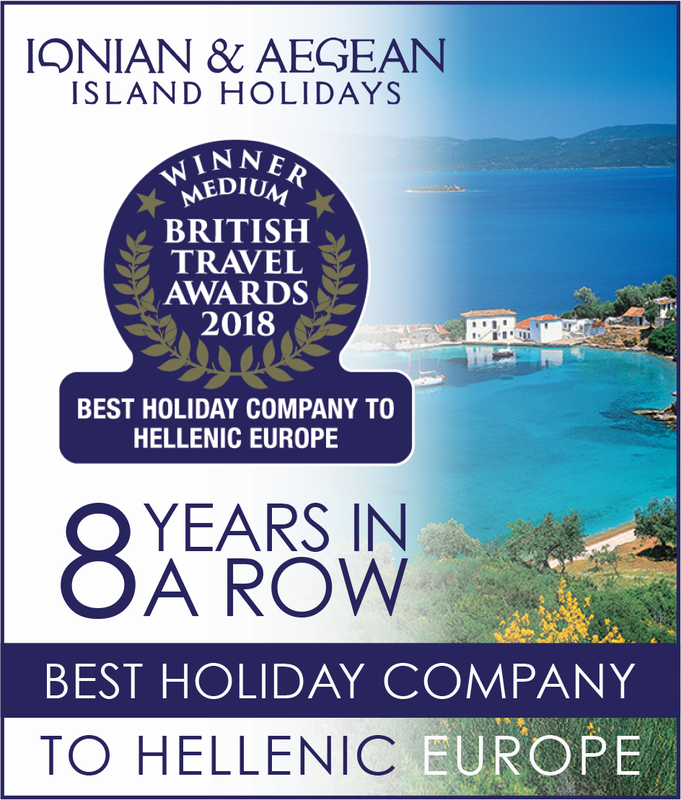 No rush hour road rage here, and on this island you are always within easy reach of superbly varied walks or short car journeys to explore the rugged west coast, the cool tree-covered interior or the friendly bustle of Gaios or the pretty coastal port of Loggos.